The Wilson Swamp Stomp is an obstacle run. 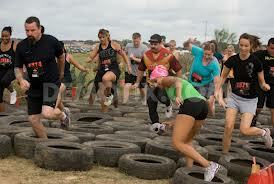 There will be approximately 25 obstacles on the 5K course. This event is not a mud run in the sense that we aren’t digging pits and filling them with water for “intentional” mud experiences. However, we will be utilizing the water ways and swamp area to the maximum possible There is a significant portion of the 5K that runs through some swampy terrain. We designed the course to take advantage of the natural obstacles and school facilities for the “mud” aspect. Our intent is to offer multiple challenges and you will likely get messy doing a few of them. We want to create a course that a first timer will be able to conquer while having fun but also give a veteran mud/obstacle racer a great challenge for the money. Just about every surface and running path except asphalt will be on the course. Grass, dirt, single track trail, wide open spaces, hard pack dirt, swampy, etc.